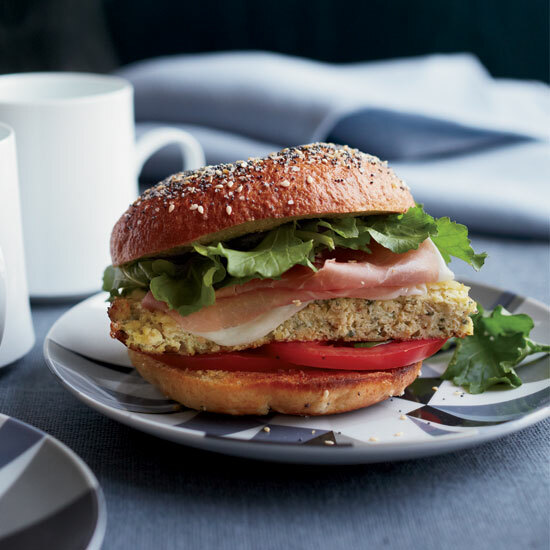 These delicious recipes include Mario Batali's superb herb-and-cheese-filled chicken thighs and vibrant herb frittatas. 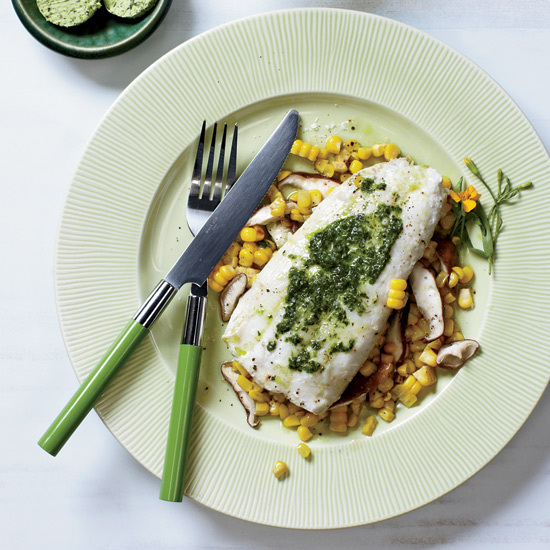 Zesty nut butter and bright herb sauce are the perfect accompaniments for meaty halibut. "You can 'turn' the artichokes, but that's a bit fancy and laborious," says Richard Blais about the chef technique of trimming the hearts down. 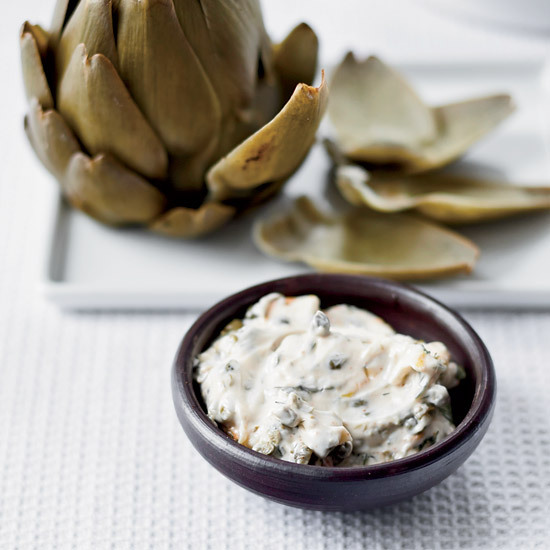 It's much easier to serve the steamed artichokes whole; their nutty flavor is especially delicious with the smoky, herb-flecked mayonnaise. 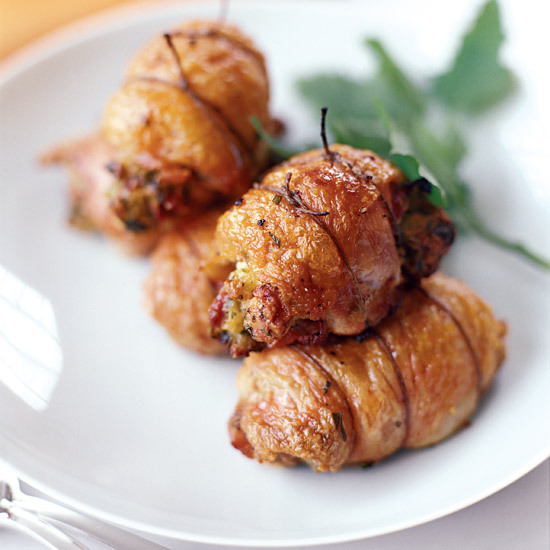 Wine Pairing Suggestion: Joe Bastianich suggests a not-too-heavy, rustic red from Sicily's Valle dell'Acate for this cheesy stuffed chicken. 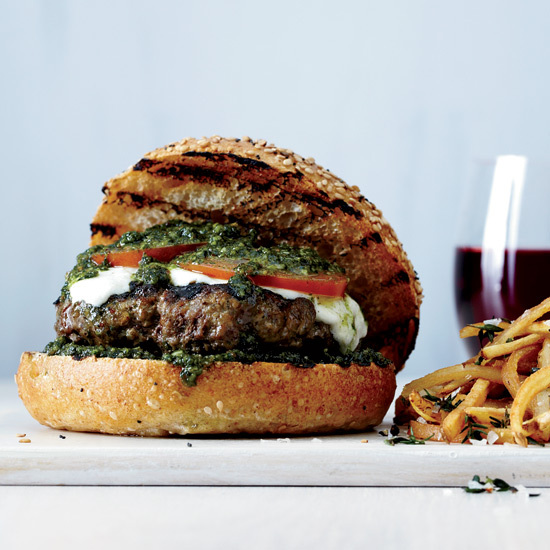 In this play on the classic Italian salad, Grace Parisi kneads basil pesto into ground beef before grilling, then tops the burgers with mozzarella, sliced tomatoes and even more pesto. 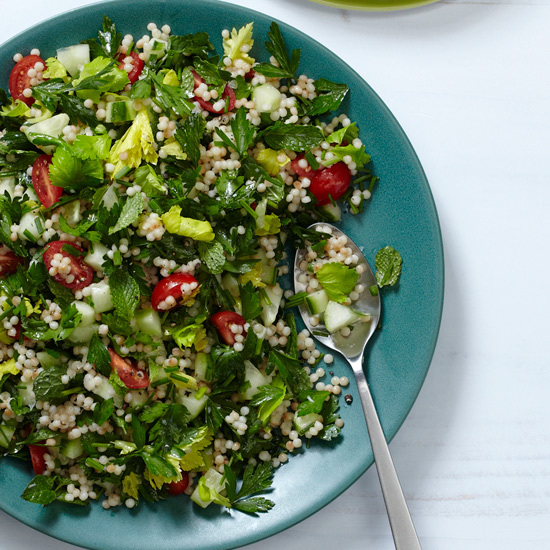 This delightful tabbouleh, which uses Israeli couscous in place of bulgur, follows the Lebanese tradition of including more herbs than grain. Grace Parisi adds both parsley and lovage, which has a light, bright flavor similar to celery leaves. These frittatas are so thin and light, they're almost like crêpes. Alain Coumont serves them with juicy tomatoes tossed with mint, but nearly any summer salad would work. Naomi Pomeroy, an F&W Best New Chef 2009, regards eco-activist Alice Waters as "the center of the vegetable-driven universe." 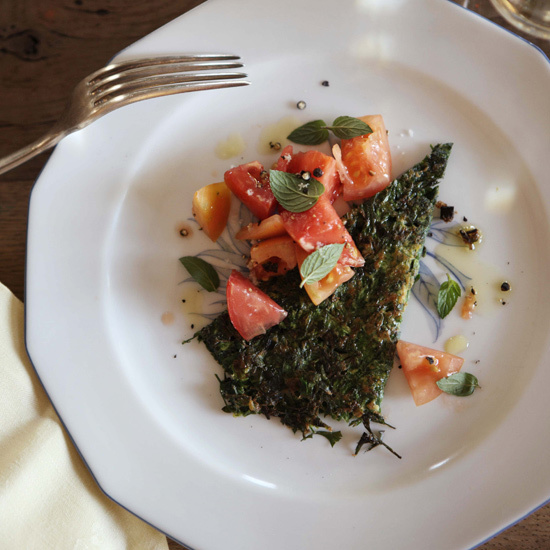 Pomeroy serves her version of the salsa verde in Waters's 1996 book Chez Panisse Vegetables, adding toasted hazelnuts and doubling the herbs. 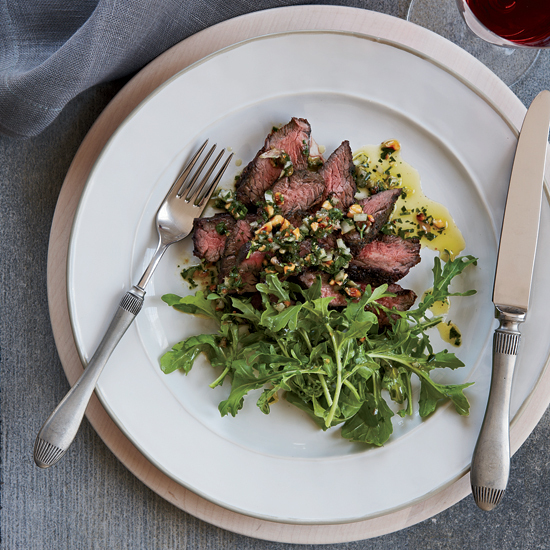 The salsa is a vibrant addition to simple grilled hanger steak. Chives and tarragon are fantastic with both corn and fish. Here, Grace Parisi folds the herbs into softened butter and grills them with a mix of corn and halibutin a foil hobo pack. 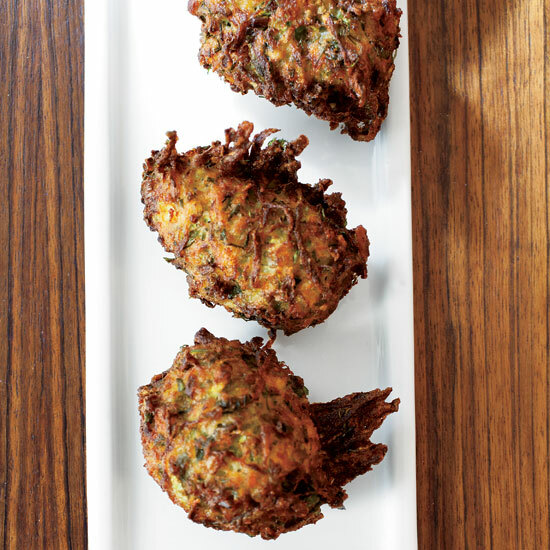 "When I was a kid, my mom fried zucchini fritters when I got home from school; I would steal a couple while they were still hot,"says Didem Senol. 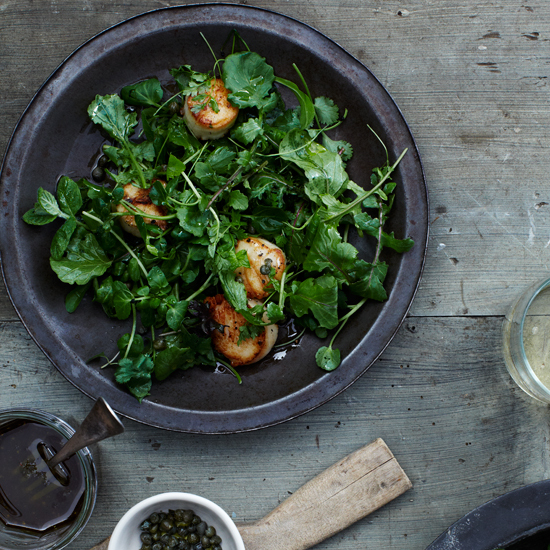 "When I started cooking, I decided to work on my childhood recipe. 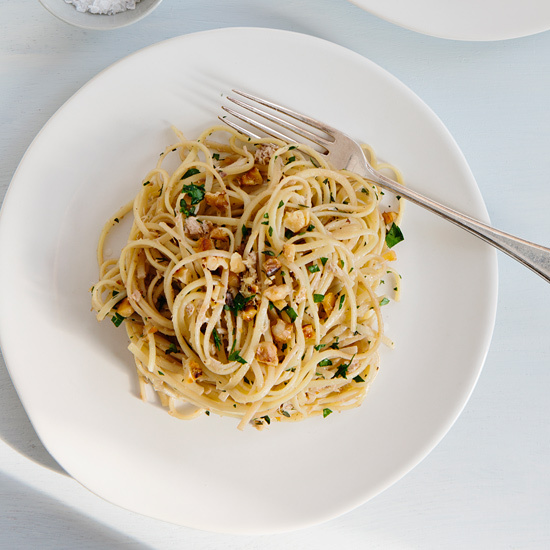 I added herbs and feta and reduced the amount of flour to make them fluffier." 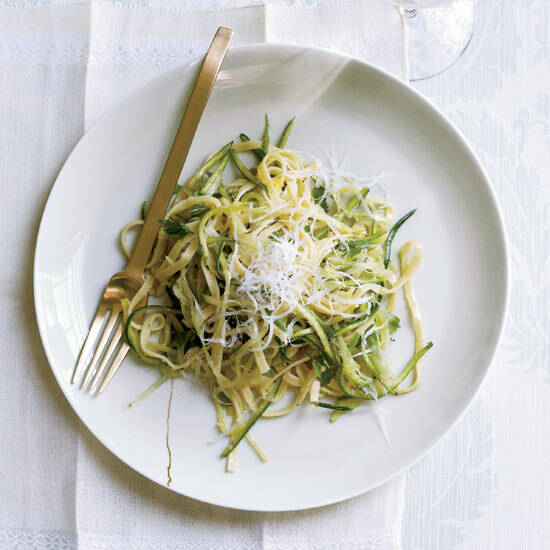 Grace Parisi treats shredded zucchini and scallions just like the linguine in this lush dish: She tosses them all in a buttery sauce with lemon, thyme and tarragon and finishes the dish with pecorino cheese. 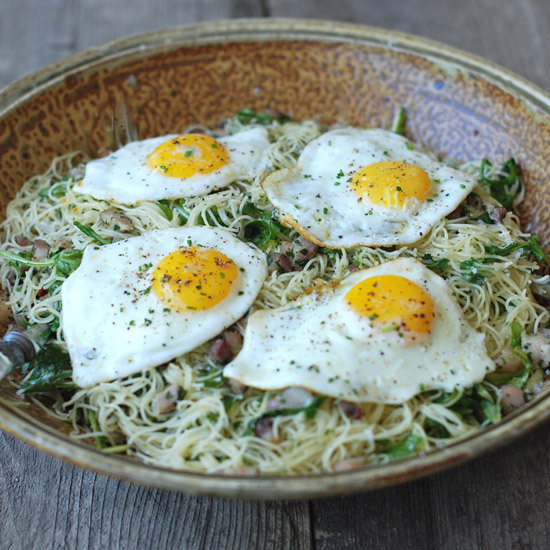 In this version of spaghetti carbonara, Andrew Zimmern adds fresh herbs and peppery arugula, and fries eggs in nutty browned butter before tossing with pasta. 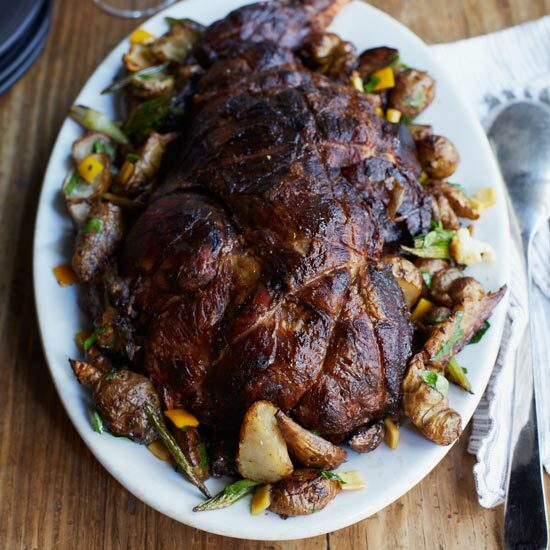 Cathal Armstrong's family always celebrated the end of Lent with lamb, and preparing the meal became an all-day event that left the adults "snoring on the couch." 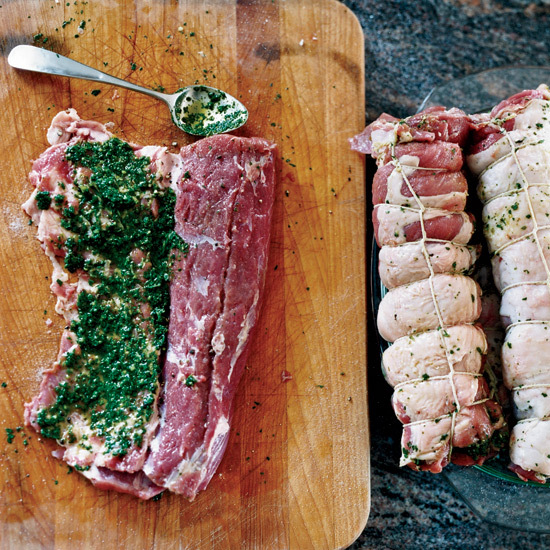 Cathal's preparation for lamb nowadays isn't exhausting at all: He rubs the loins with herbs, garlic and shallots, then ties them up, sears them and finishes them in the oven. 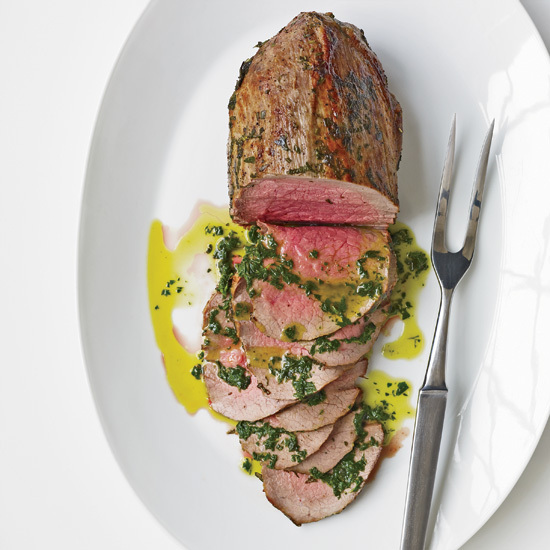 The result is succulent, delicately flavored meat. 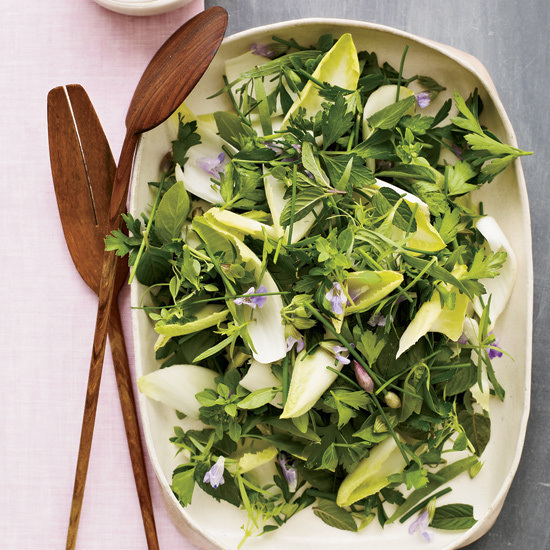 Herb salads can be intense, but Marcia Kiesel keeps hers light with crisp endive leaves. 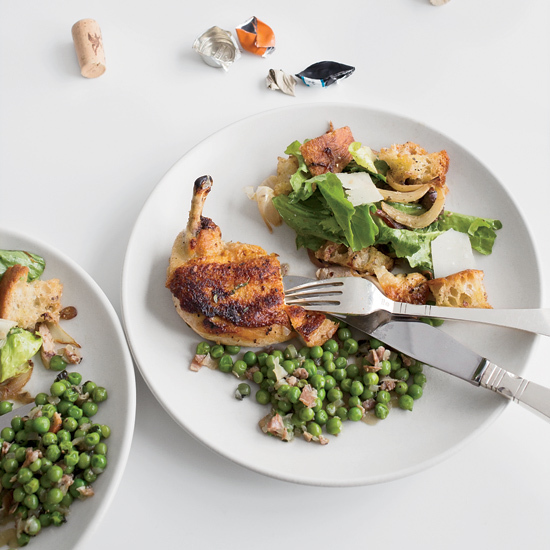 This homey bread salad smartly includes seared chicken livers and wing meat, which bring all the flavors of the dish together. 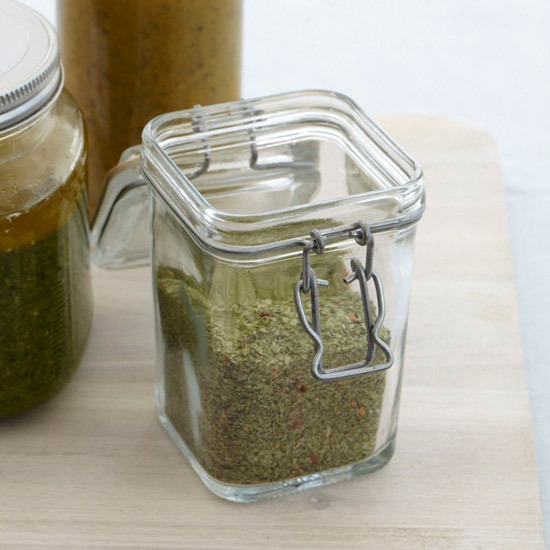 The flavor of sturdy herbs like thyme and rosemary is too strong for pesto, but it works beautifully in a seasoning salt. The mildly spicy salt is delicious rubbed over big cuts of meat like leg of lamb or thick steaks, but it's also terrific sprinkled on buttered bread or corn on the cob. 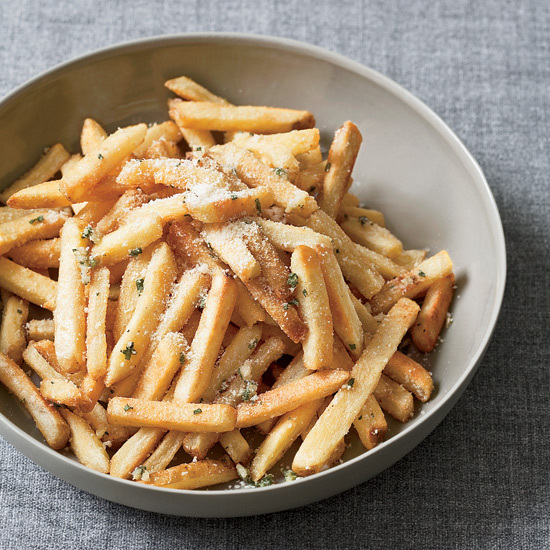 (Tip: Try it with butter that's been mashed with the Garlic Confit). 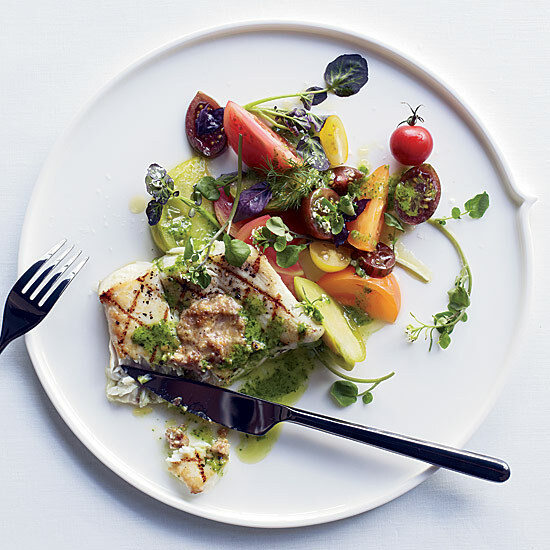 In Italy, piquant salsa verde often accompanies poached chicken or fish and boiled meat. 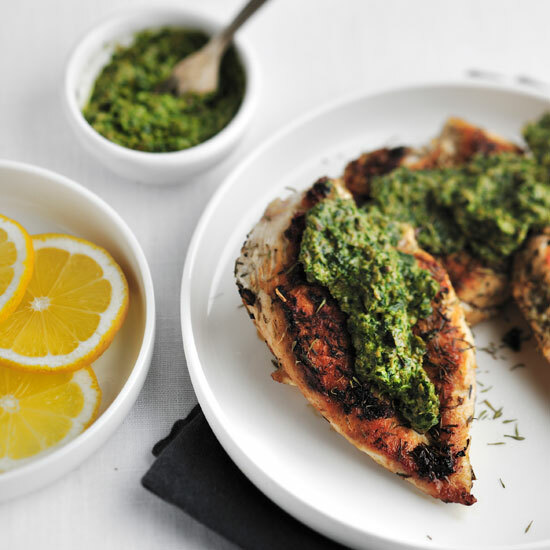 The tangy green sauce is also delicious on sautéed and grilled foods. 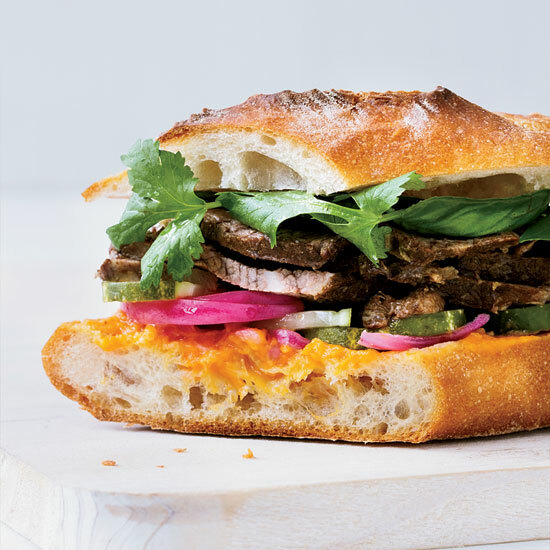 These Vietnamese-inspired sandwiches are a clever and tasty way to use leftover beef stew. For this earthy spring side dish, Su-Mei Yu tosses warm roasted mushrooms and whole shallots with a refreshing combination of dill, mint and parsley. 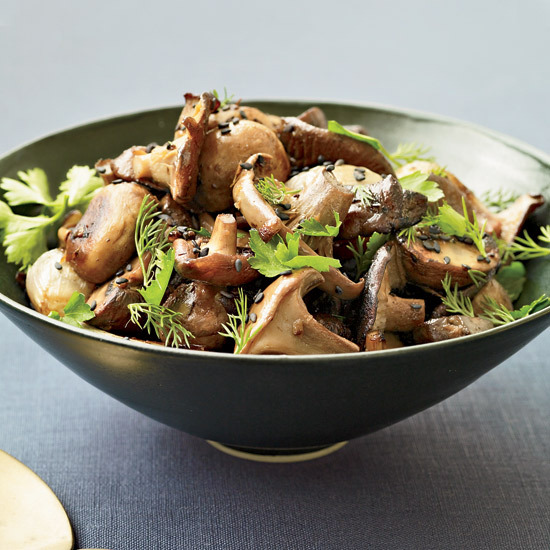 The mushrooms are thought to ease flu symptoms, while the shallots and herbs help with congestion and coughs.